Steven de Selby has a hangover. Bright lights, loud noise, and lots of exercise are the last thing he wants. But that's exactly what he gets when someone starts shooting at him. 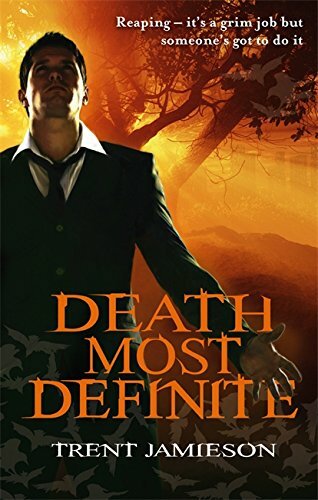 Steven is no stranger to death-Mr. D's his boss after all-but when a dead girl saves him from sharing her fate, he finds himself on the wrong end of the barrel. His job is to guide the restless dead to the underworld but now his clients are his own colleagues, friends, and family. Mr. D's gone missing and with no one in charge, the dead start to rise, the living are hunted, and the whole city teeters on the brink of a regional apocalypse-unless Steven can shake his hangover, not fall for the dead girl, and find out what happened to his boss- that is, Death himself.